The fairy tales, the pompous dresses and the Victorian era have always been a passion of mine, they inspire me, stimulate my creativity. 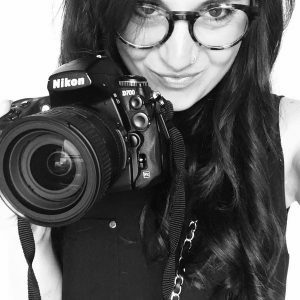 I then joined my passions to create a new photographic project. As often happens, the great ideas are born by chance some muted but then slowly everything takes shape, aswell was born Lady Saoirse. 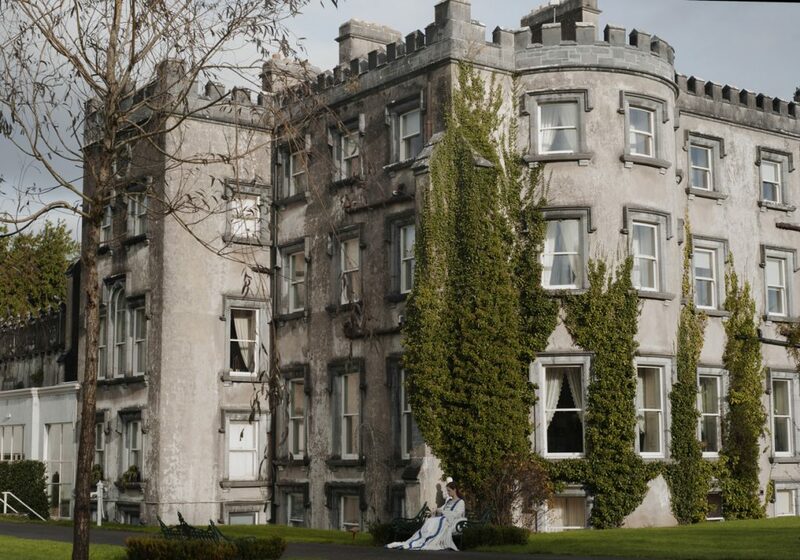 Do some internet searches to find a location that can connect to that specific period of history, and here she is Ballyseede Castle, really impressed me this hotel situated in Tralee, a small village southwest of Ireland. Contact them, I explain my project and give me for confirmation of availability, then more and more motivated I start looking and gown model. For the dress there are problems I rented from “Costume Mill”, a Dublin department store located in Capel Street, while for the model difficulties, doubts and uncertainties. The first intention was to work with a professional model, within a few days an appointment but unfortunately or maybe not, I from hole a week before the shooting, panic how to fix it? Share research, Facebook groups and agencies, but nothing I could not find a face that was okay. Time passed, I had to risk it and working with a beginner, for me the work would be more grueling and tiring but I couldn’t blow this, then return to the expensive and useful Facebook and start posting ads and a few hours after getting her, with his face perfect, delicate and wistful and her hair a color magic is Martina Aroldi, contact. The first approach to her has not been reassuring, this young girl of 24 years old, has never posed, in life makes the translator not the model. The fear of failure was so much, but we had to try at all costs. But thanks to Martina, collaborative and patient, to the entire staff at Ballyseede Castle Hotel which was very helpful I was able to put together a nice project. 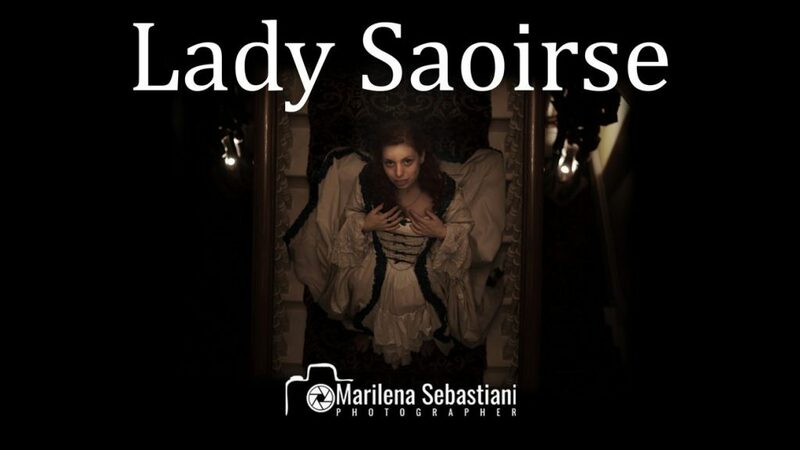 The story of the ghost of Lady Saoirse, which translated into Gaelic means freedom. This ghost is forced to live imprisoned in a castle became his dwelling, his refuge, there was safe could not happen anything serious. But her eyes spoke, she wanted to go further, she wanted to dance happy, she wanted to see the light, she wanted to be an Angel, not a ghost, she wanted to live free. So armed with courage and bringing all his fears, he crossed the door of red, like the blood flowing in the veins, the vital liquid. Regarding the techniques used in some shots I used two continuous lights so you can illuminate the subject against the background. In others I used my dear friend, natural light of early morning, the day was cloudy enough to have a large diffuser that filled the whole scene. You can see all the photos of this project by clicking here!